Vintage style and sparkling elegance. 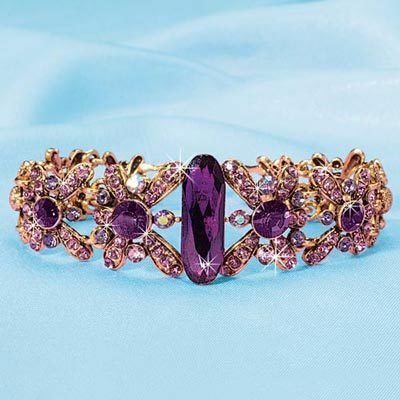 This Endless Sparkle Bracelet features brilliant, faceted amethyst colored crystals accent this antiqued gold-finish filigree bracelet. Clasp closure. 8"l. Hurry! Quantities are limited!